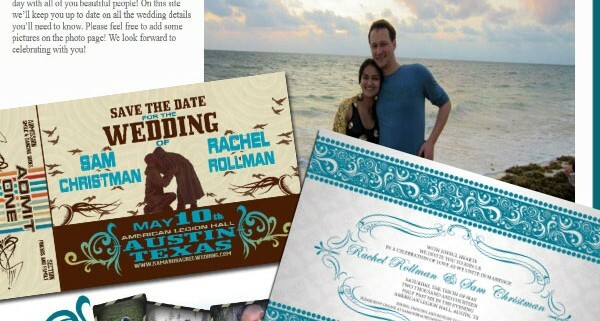 This wedding package included a save the date magnet, invitation. 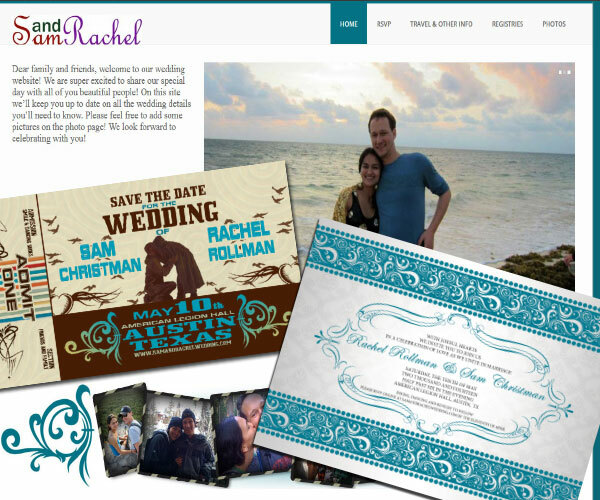 laminate and website. 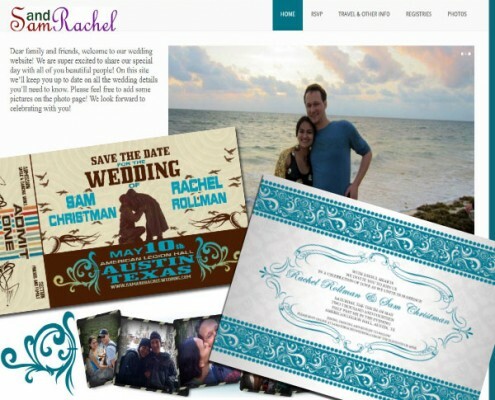 The save the date magnet was designed to look like a concert ticket, the couple are huge music fans and got engaged on stage. 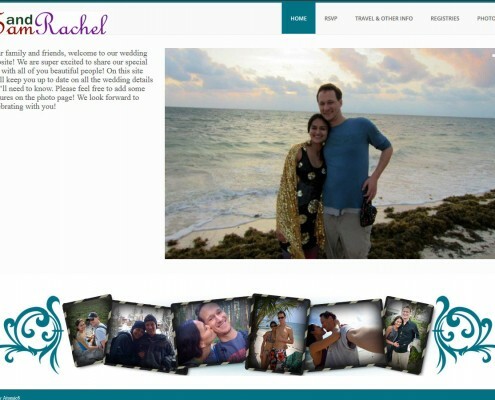 The purpose was to give guests a fun memory of the wedding. 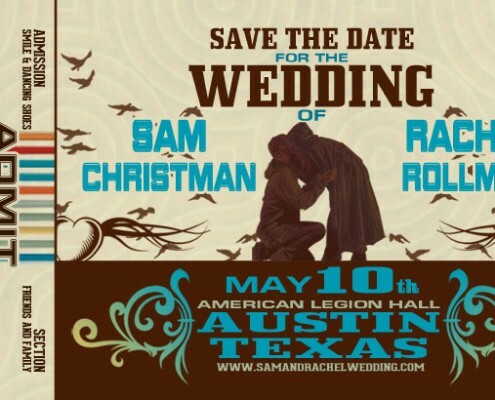 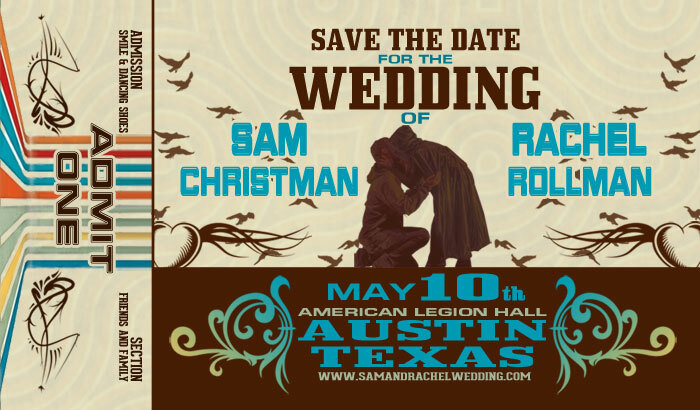 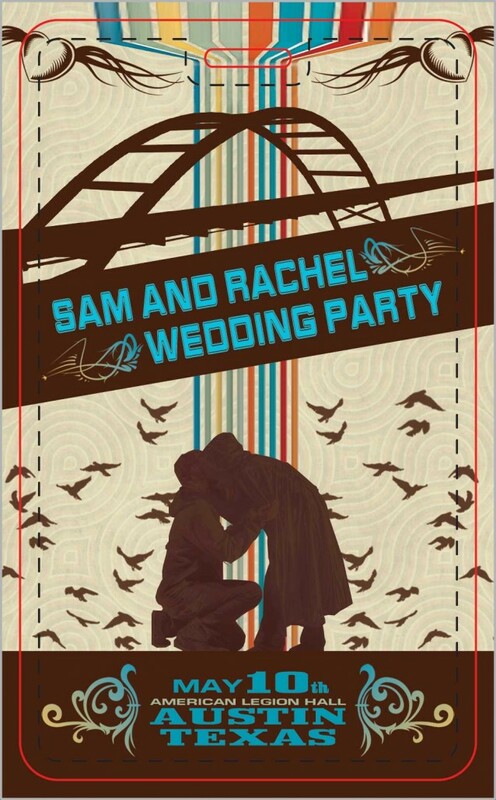 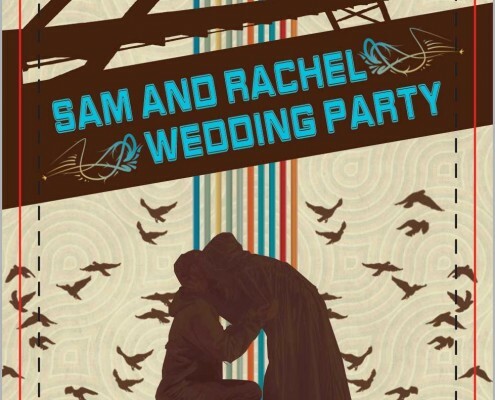 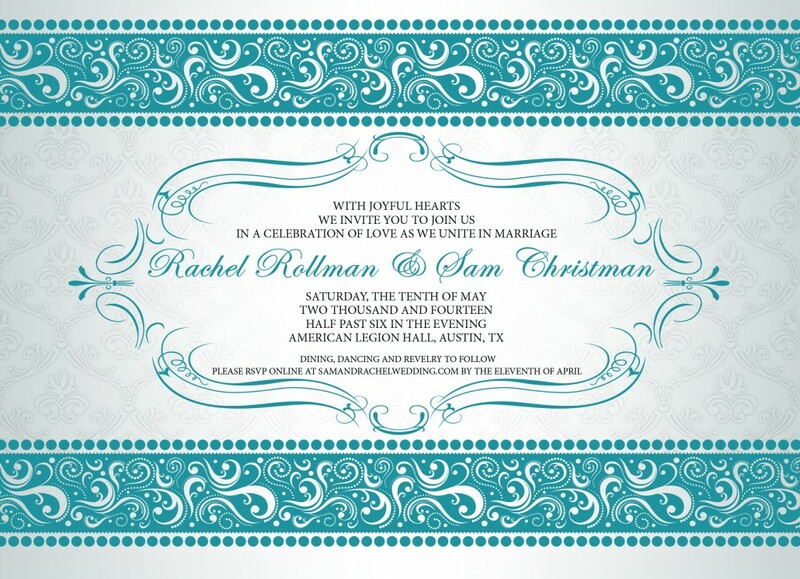 The laminate was similar to the save the date featuring the couple and icons from their home town Austin, it was laminated and could hang around the guests necks. 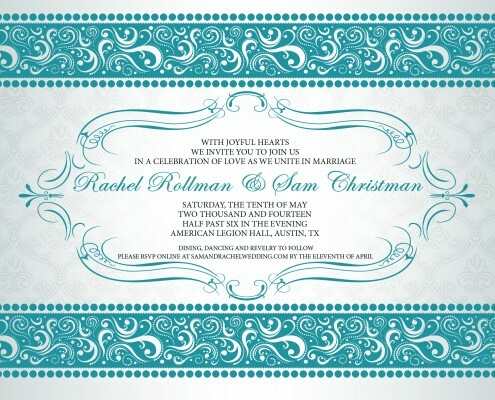 The invitation was a more classic design. 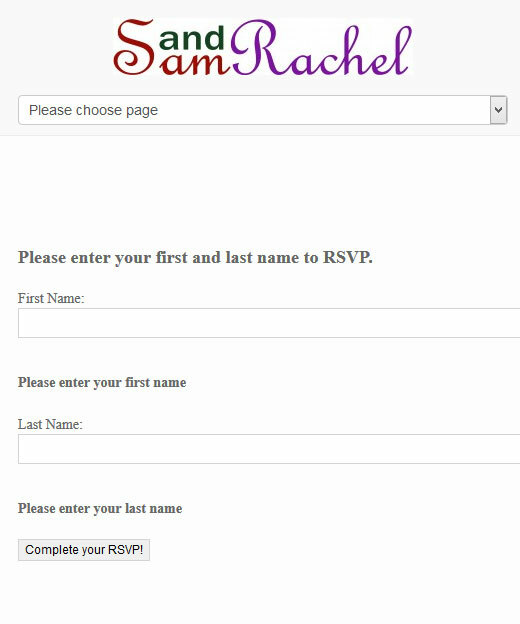 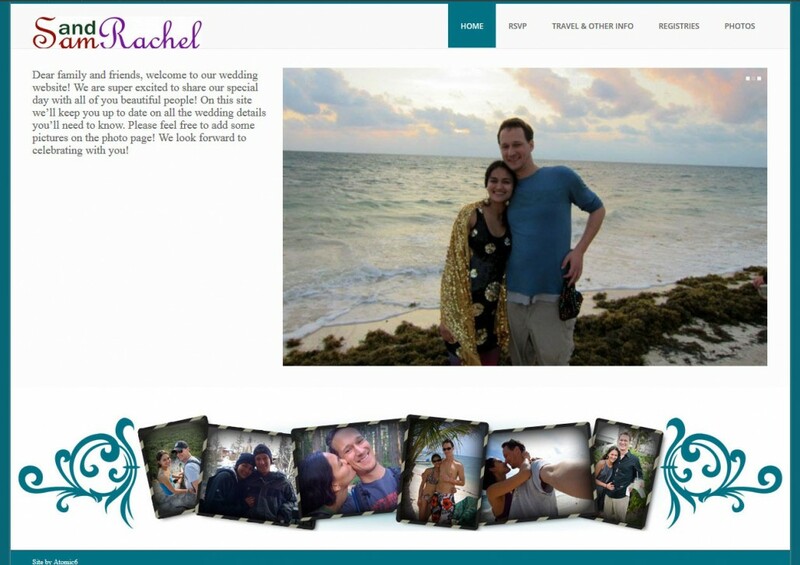 The website provided many features for the wedding. 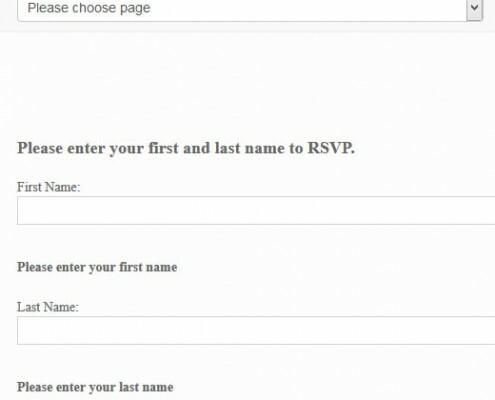 It allowed guests to RSVP with their additional guests. 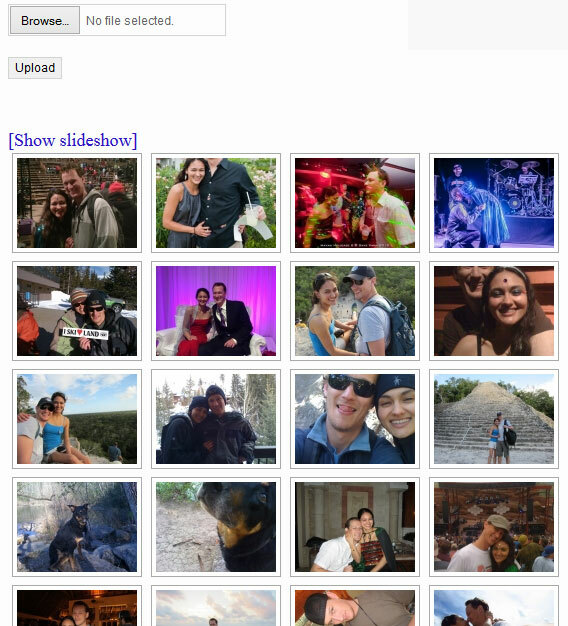 The couple to could then easily view guests, and export it for easy viewing. 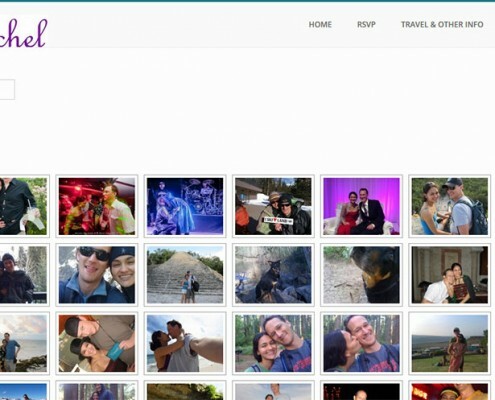 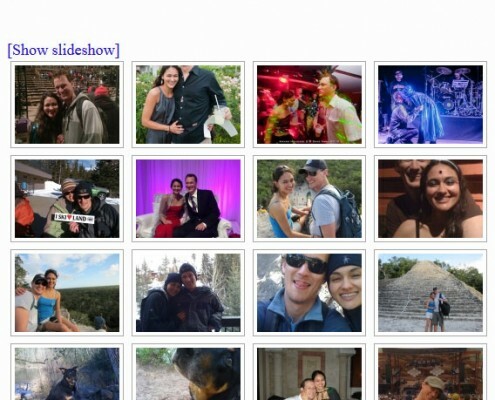 Guests could also upload photos that were included in a collage.